New York (AFP) – The Statue of Liberty, temporarily closed by a US government budget shutdown, will reopen on Monday to once again beckon other countries’ “huddled masses” — as well as not-so-poor tourists with dollars to spend. 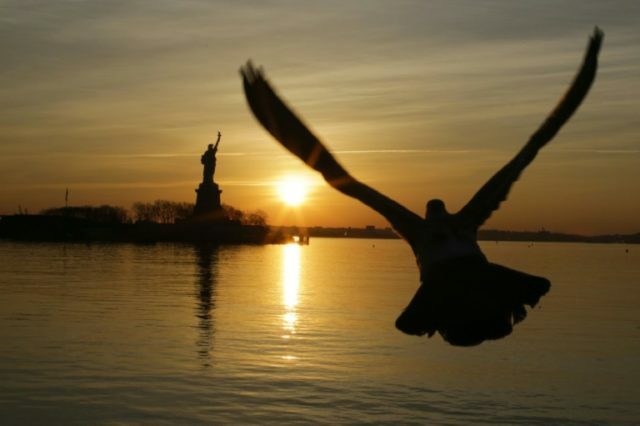 “We will not stand by as this symbol of freedom and opportunity goes dark,” New York Governor Andrew Cuomo said in a tweet Sunday, announcing that the state had found funds to keep the iconic landmark open. Shutting the surrounding park “jeopardizes an economic driver for the state of New York,” said Cuomo, a Democrat. “This park is a symbol of New York and our values. And her message has never been as important as it is today,” he said, alluding to the budget battle in Washington, where Democrats were seeking protection for hundreds of thousands of undocumented immigrants before agreeing to Republican proposals to extend funding for the government. After Democrats and the majority Republicans in Congress missed a Friday deadline to pass a new federal budget, most “non-essential” government services and programs were ordered to close.